Somewhat relieved that we don’t need our web cam for the Squared Online lessons I waited in anticipation for our 2nd more in-depth lesson. The lesson involved looking at how we used technology in our daily lives. The intention was to get everyone thinking on how we use tech today and how we might use it tomorrow. The lesson outcome was to get everyone thinking about how consumers use tech in their daily lives, who had access to their social data and how it was used. We were also asked to think about how everyone behaves differently and how this might affect an individuals digital life. We watched a short video called Class of 2015, intended to depict a day in the digital life for students in 2015. How tech affected a digital day in the life of a student. For your viewing pleasure below. We were also introduced to Kiva and Kickstarter, two websites made possible using technology and innovation to help small businesses to start up or expand. Another quite scary part of the lesson for me were the statistics on how the public perceive the use of their data and how the majority of us don’t care about it? The Telegraph reported that three-quarters of the UK public do not care about privacy. In my opinion this is very worrying. I would imagine this is either due to lack of the public’s knowledge about the huge amount of data they create and what the web sites they use are allowed to use it for. More public awareness needs to be made about the privacy policies on social sites like Facebook and what they will be using the collected data for. How do you think emerging technology will affect your life in the future? Trains that arrive on time? 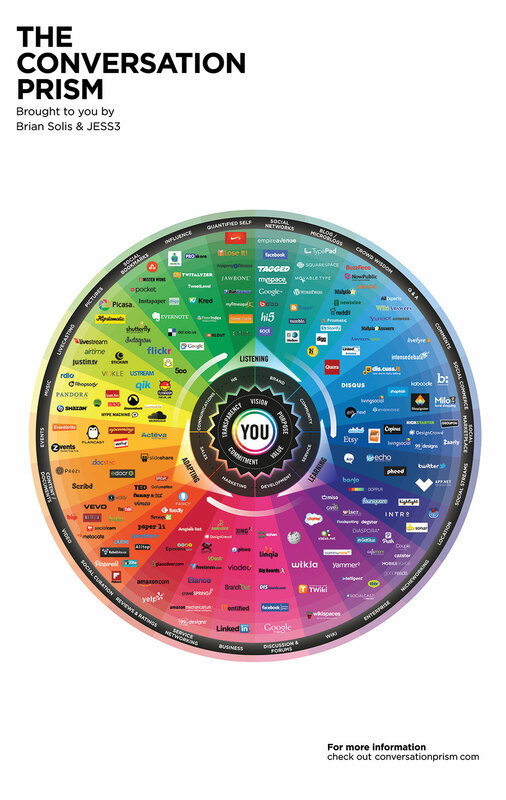 Part of the lesson resources was to look at the conversation prism, pasted below. 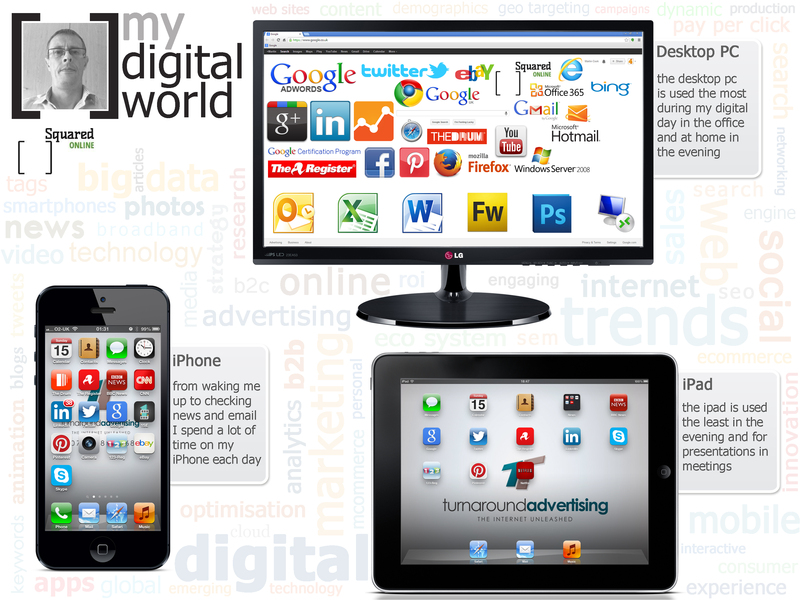 As part of our homework we were all set a day in my digital life, we have to create a slide to depict a day in our digital lives. A PowerPoint presentation link was given for students to add their slide and show how tech was used on a daily basis.